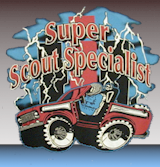 Super Scout Specialists, Inc. - sSs Stuff!! A sSs Int'l Scout & Trucks CALENDAR! 2018 IN STOCK!